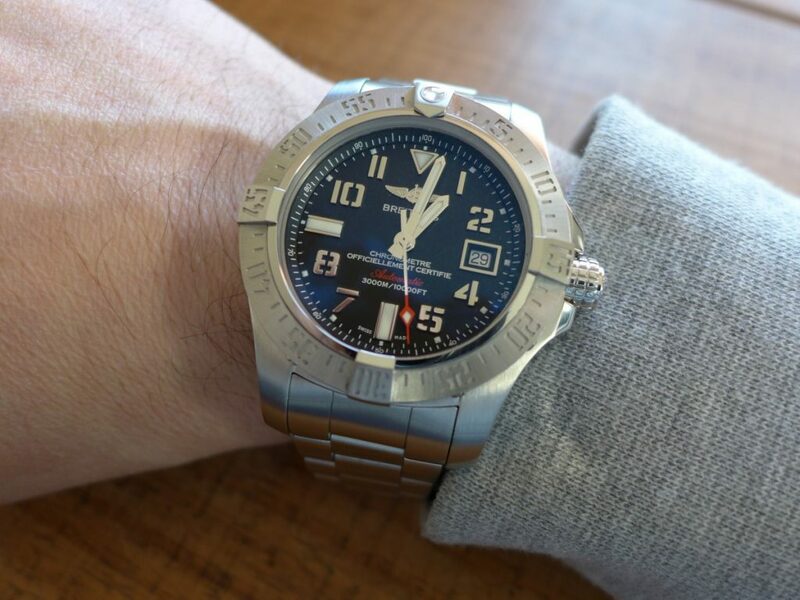 Hands on with Breitling Avenger 2 Seawolf Ref A17331 this a big chuck of dive watch courtesy of Breitling a current model you can buy in the shops. 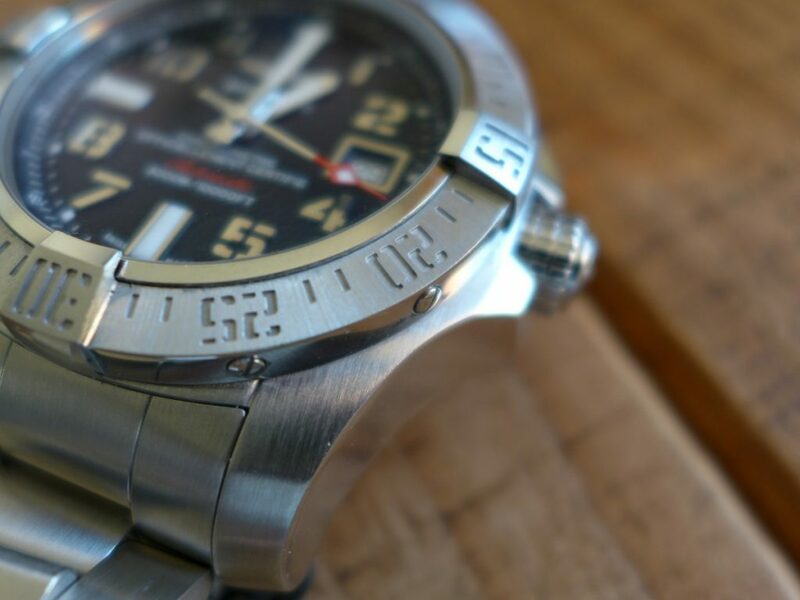 The Avenger 2 Seawolf is a true divers , watch is water resistant to 3000 metres / 10,000Feet which is a long way down for any watch to go. 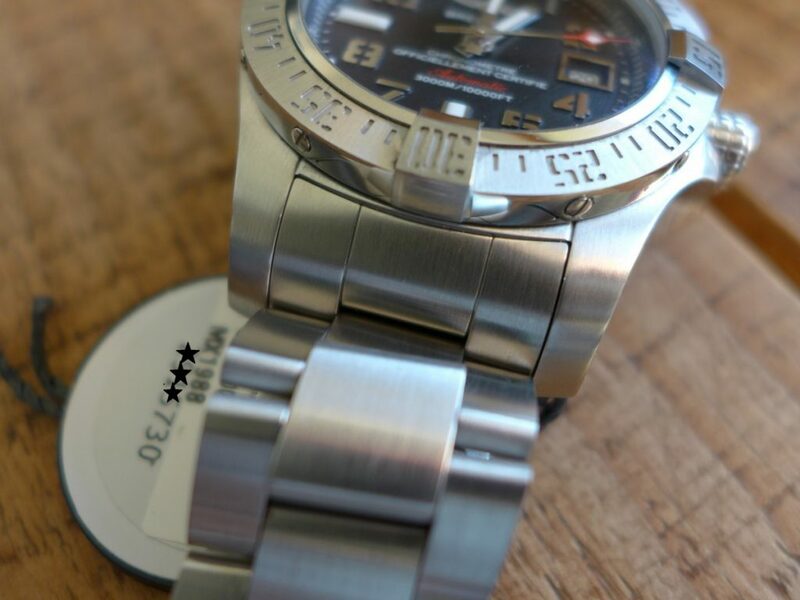 But not like Rolex deepsea Challenge standards 12000 metres but still very good as a third of the price of the Rolex Deepsea 116660. 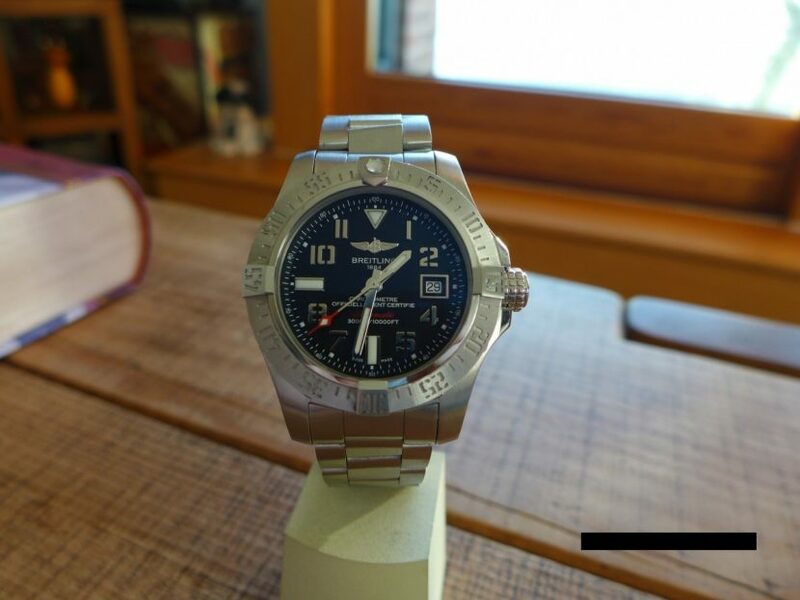 The avenger is mainly brushed steel and small areas polished, the bezel is nice brushed satin with luminova top 60 marker, the dial is very nice shade of black called Volcano Black. 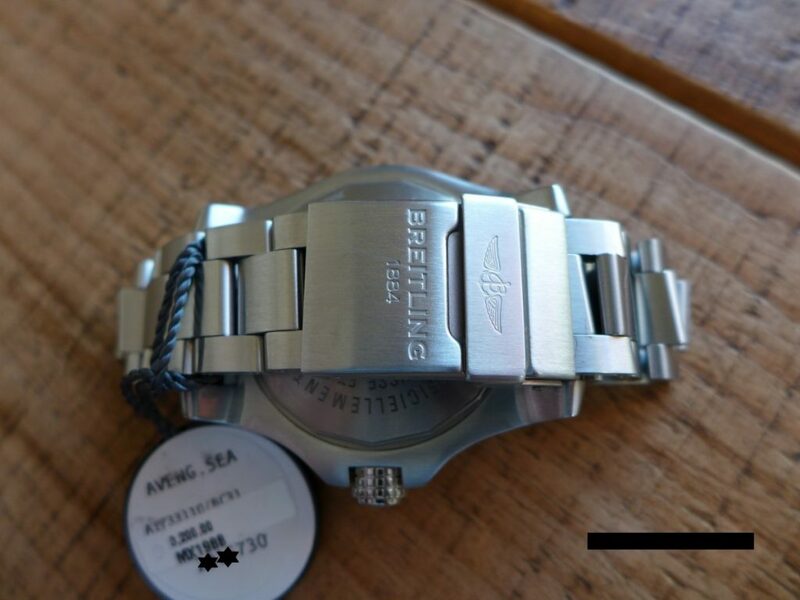 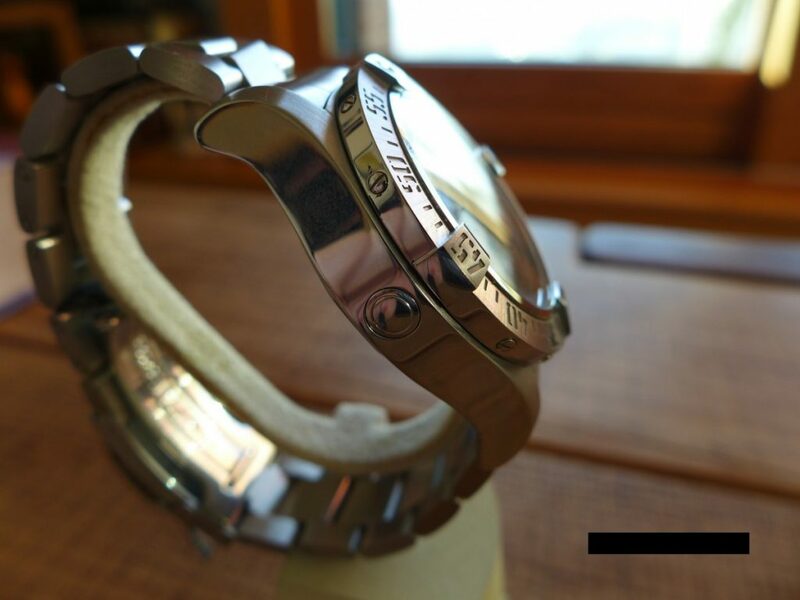 The size of the case is 45mm on the pro3 bracelet which is Breitling’s latest version of double locking bracelet. 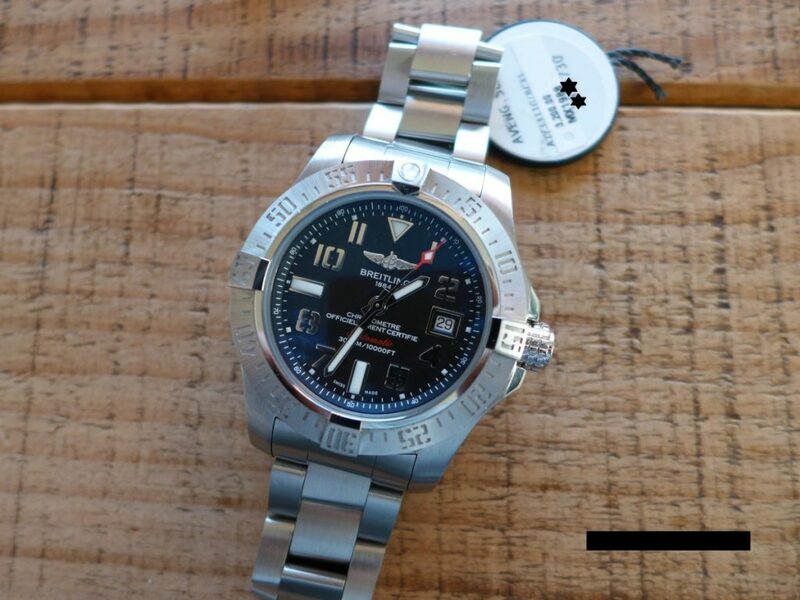 The movement is in-house Calibre 17 Automatic, a great piece for the money big, thick, tool watch for everyday use always love Breitling’s for the money. 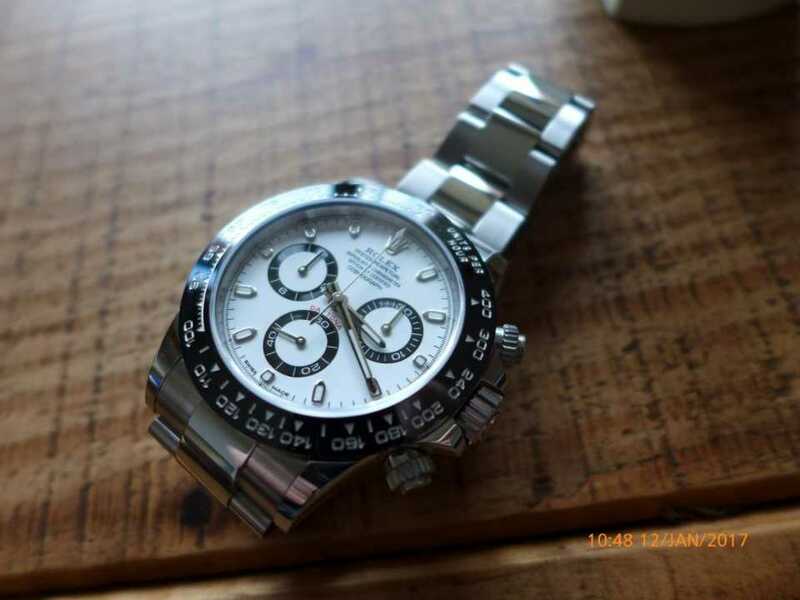 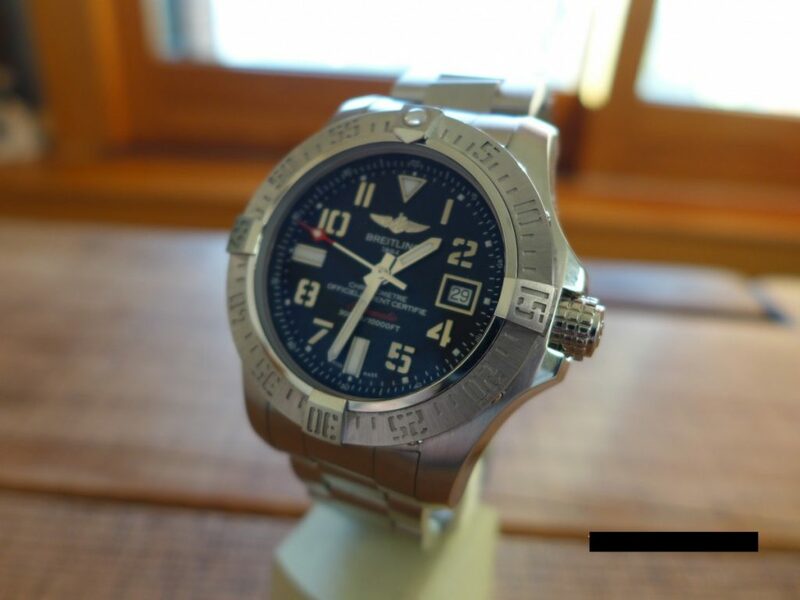 Breitling always be good value watches for pre-owned market as not every one has big bucks to buy Rolex’s, Patek Philippe, AP etc…. 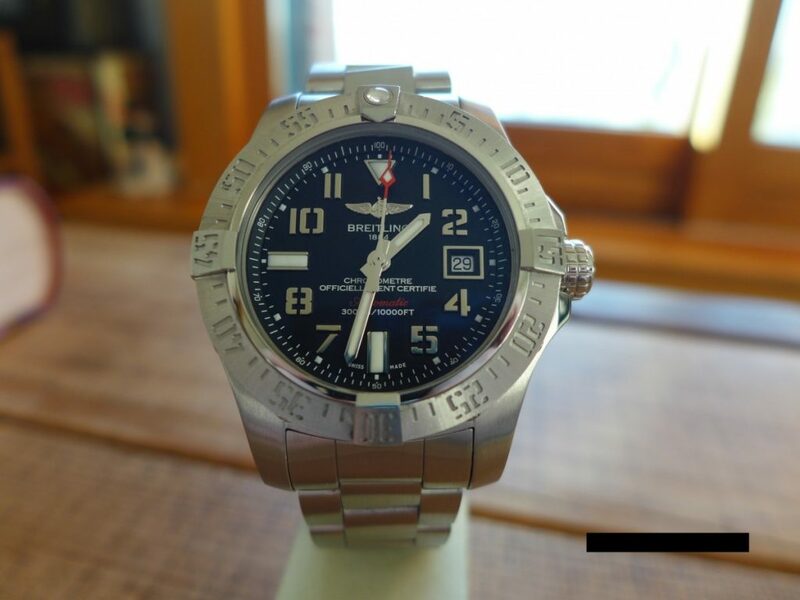 Omega have a lot of similar priced watches too.